Nowadays, there is a trend amongst people to be more conscious about their health particularly nutritious, well-balanced meals and regular exercise. There has been lots of effort by the government to remind and emphasize the importance of a healthy diet and exercise. However, is it possible to achieve all these in a first world country like Singapore? When relocating to another country, one of the main aspects an individual should consider is the possibility to maintain work-life balance. One of the more liveable Asian countries/city to relocate is Singapore. However, there is bound to be some drawbacks such as the hectic lifestyle, expensive cost of living etc. when relocating to a first world country. For individuals relocating to Singapore with a family and children, there are plenty of challenges as they have to constantly juggle between long working hours at work and their family causing them to neglect exercising. When it comes to leading a healthy lifestyle in Singapore, it seems that healthy living may be at the bottom of our list as some may be unwilling to spend on healthy food, signing up for exercise programs etc. Nevertheless, could the cost of leading a healthy lifestyle to be one of the reasons for being unable to lead a healthy lifestyle? Is It Possible To Live Healthily In Singapore? Some of the things that Singapore is known for is its tropical climate, clean and fresh air etc. which allows us to head outdoors to exercise without worrying about the changing seasons. From parks to marathons, Singapore has it all for all sports enthusiasts and individuals who are interested in picking up a new sport. 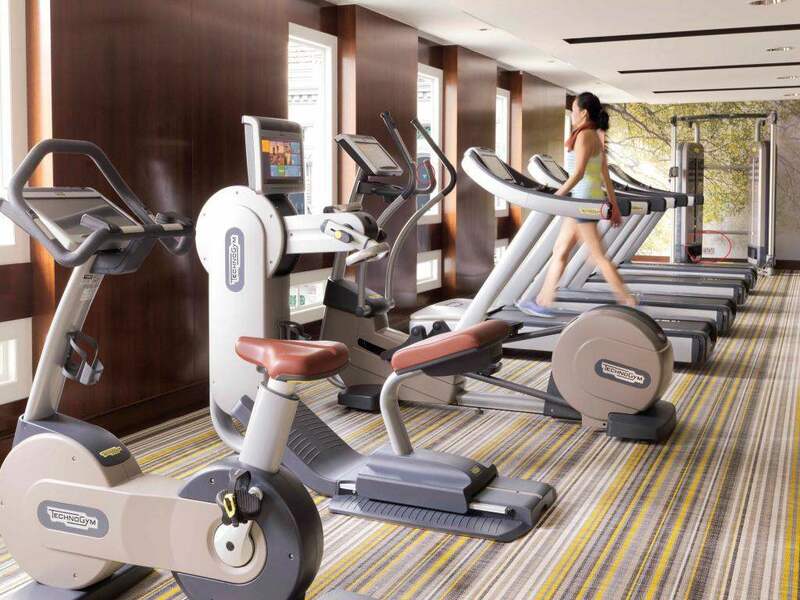 Perhaps one of the biggest encouragement is the push from the Singapore government to encourage the citizens to lead more healthy lifestyles by offering credits to visit gyms, swimming pools etc. Of interest to individuals with children moving abroad to Singapore is the government’s emphasis on the school’s curriculum to train and improve the physical fitness of students. Despite being one of the most expensive cities in the world to live in, you will be glad to know that there are some FREE activities and apps to help you achieve healthy living in Singapore! Furthermore, Singapore is renowned as one of the countries that have the most advanced digital technology which allows individuals to have more access and information to health tips and apps to measure their BMI etc. Perhaps one of the encouragement is the recent performance in the Olympics where Singapore managed to claim their first-ever swimming gold medal. So, we can safely say that sports in Singapore are growing! Whoever that said there was no such thing as a free lunch in Singapore, you need to read more and maybe even consider reading more of our articles! One of the steps to healthy living is by adopting a healthy diet, and there is no better place to do it than Singapore! With plenty of food blogs, you can easily find all kinds of cafes, restaurants or hawker centres that sell cheap and affordable food such as salad bowls, vegan burgers, acai bowls etc. If you are looking for healthier options, consider heading over to the shopping malls or food centres. The parks in Singapore are extremely friendly with shops offering bike rentals, rollerblades etc. There are also occasional marathons held in the parks. However, the park is generally open to the public where you can actually jog or use the huge space to ride your bike! Consider joining running sessions conducted by trainers if you need some motivation to exercise. You can participate in these running sessions by being active on social media platforms. Besides running, there are also other activities such as fitness circuits, dance etc. If you are an early bird, this ought to catch your attention! If you are planning to relocate to Singapore, you can get a daily dose of FREE exercise before work at selected gyms by signing up to these workout sessions. To enjoy some of these FREE exercise programs, you can consider being active on social media or simply enrolling yourself via the gyms online. Alternatively, you can join by heading over to Health Promotion Board! Tips for you: The slots are on a first come first serve basis, so hurry before they are gone!